Let me fill your heart with joy and laughter. その気になって　set your mind to it. Many books set/put my mind to speaking English fluently. I'm in the mood for speaking it. I get my brain washed that I can speak. 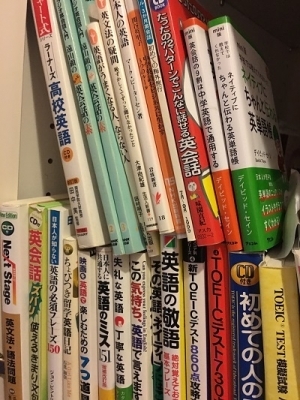 英語で何かするのが好き。読む書く話す聞く見る。人の考えを聞くのが好き。Talking with people all over the world is fun and you can learn something new from them, telling what you know to them as well. That's the reason I can't stop learning English. Copyright © ちずこママ：英語の失敗してもいいやん All Rights Reserved.